One of the art piece made by Caroline Corbasson has reached the Laboratoire d’Astrophysique de Marseille. This master piece inspired by the segmented telescopes, is part of a set of 12 items, and is named after the future large space telescope to be launched in fall 2018, the James Webb Space Telescope. The JWST has a segmented primary mirror made of 18 gold-coated hexagonal segments, reproducing a nearly-parabolic surface. 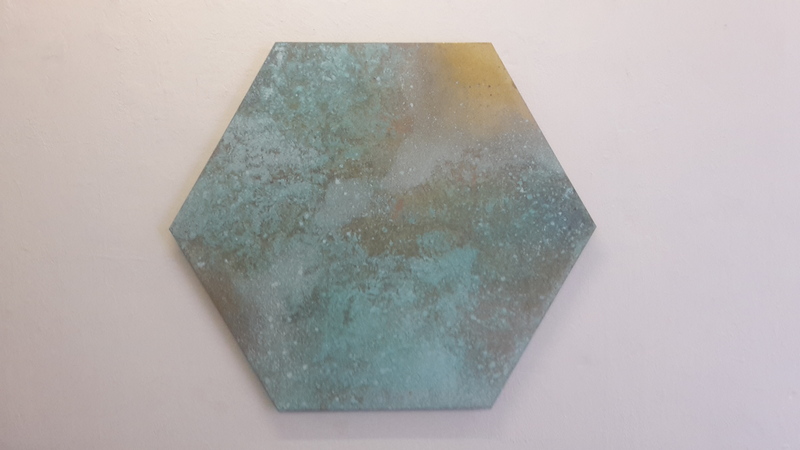 By using a brass substrate and specific etching techniques, Caroline creates her own vision of our universe, the memory of a old cloud of dust which shaped our pristine universe?